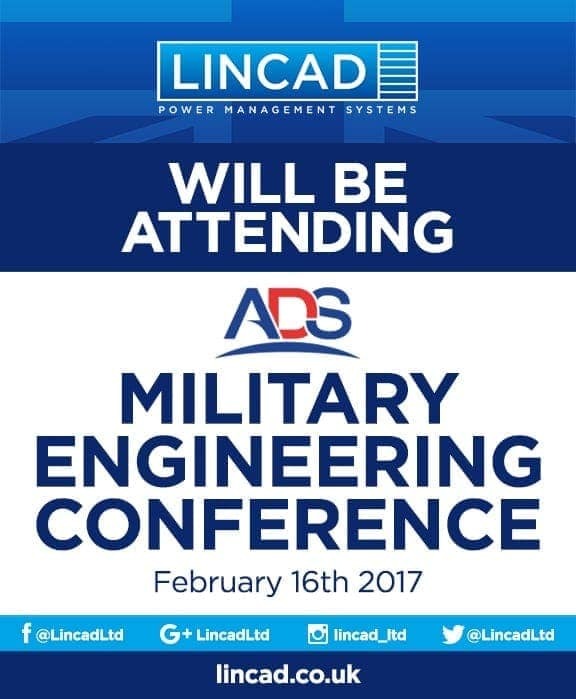 British battery design and manufacture expert, Lincad Ltd., will be attending the annual Military Engineering Conference, taking place near Reading in Berkshire on Thursday 16 February. The Military Engineering Conference is run by ADS, the premier trade organisation for companies in the UK aerospace, defence, security and space sectors. The day’s agenda will focus on current global threats and the contribution that military engineering can provide, as well as the challenges faced by the sector in the 21st Century and how they can be met. Other areas under discussion at the conference will include advances in materials, autonomy and engineering information systems, as well as how they can translate to the battlefield. The event will showcase a number of expert military engineering speakers and facilitators, with the afternoon dedicated to networking, one-to-one meetings and peer discussion. Established more than 30 years ago, Lincad designs and manufactures bespoke batteries, chargers and power management systems for military and other specialist applications. The company has developed its products in accordance with UK defence and US military standards and has extensive experience in developing products where electromagnetic compatibility may be crucial. As well as bespoke solutions, Lincad also offers a range of commercial off-the-shelf products and a full life cycle product support service that includes repairs and upgrades from point of introduction through to end-of-life product disposal.